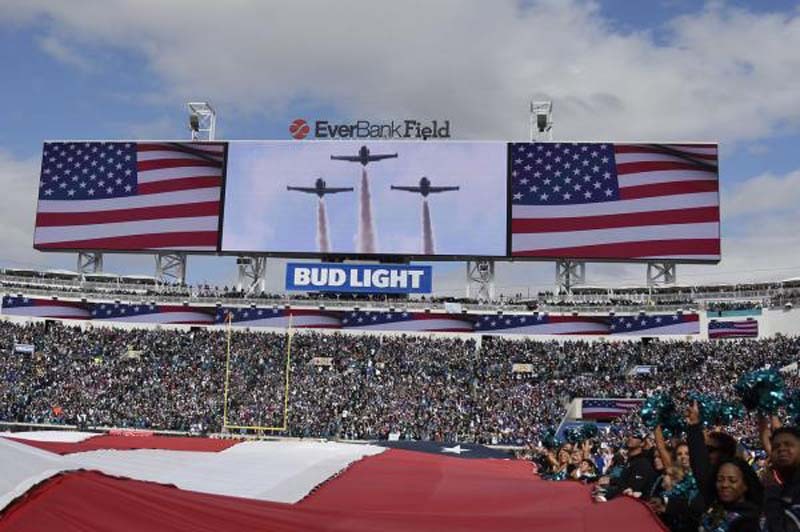 The Jacksonville Jaguars announced Monday their homefield will be called TIAA Bank Field. In February, the Jaguars announced the name of the stadium would be changed from EverBank Field by the preseason. Jacksonville-based EverBank Financial Corp. was acquired last year for $2.5 billion by TIAA, a financial services provider headquartered in New York. The stadium has previously been called Jacksonville Municipal Stadium and Alltel Stadium since it was built on the site of the old Gator Bowl. The stadium also hosts the annual Florida-Georgia game and an annual bowl game. The name change is not the only new feature for the Jaguars' home field. In February, the Jaguars announced that they are removing the tarps that cover four sections of the field to meet an increased demand for tickets after the team's surprising run to the AFC Championship Game last season. The addition of 3,501 seats will bring the stadium's new capacity to 69,132.